The promise of specialized line of business applications like SAP SuccessFactors is to deliver standard, effective processes wherever possible via the Software as a Service delivery model. The promise of SAP Cloud Platform is to allow companies to build cost-effective applications on a secure platform, without disrupting core business applications. In previous times the on-prem delivery model what the preferred method of IT systems – but as we all know this is rapidly changing. In the days of SaaS and PaaS you are freeing up resources from keeping the lights on to driving business innovation. With its comprehensive services and capabilities SAP Cloud Platform provides a large amount of services to build better cloud applications in less time. SAP Cloud Platform is an enabler for simplification, innovation and agility in your digital transformation. For many companies moving to the cloud, SAP SuccessFactors is a cornerstone in the Human Resources space and whilst it is very flexible and can be configured to suit requirements from organisations of any size, all software suites has their limits. Being able to either build entirely new applications or extend existing applications is what SAP Cloud Platform is all about. 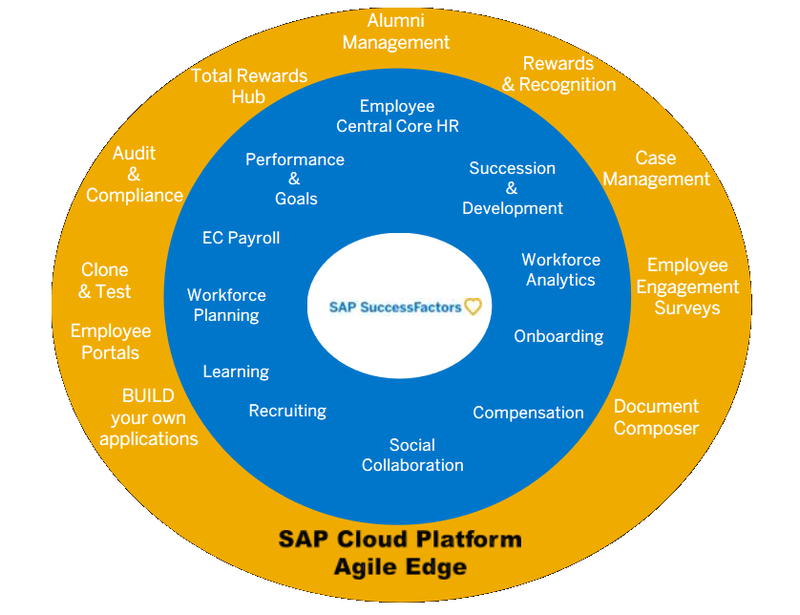 The SAP Cloud Platform is not limited to SuccessFactors but is an SAP initiative. 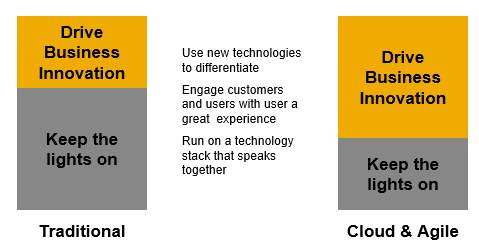 Nevertheless, SuccessFactors customers have a strong incentive to use SAP Cloud Platform instead of other providers due to close cooperation and existence of a SuccessFactors connector kit – available for free as part of the integration package. Moreover, SAP offers data centres for SAP Cloud in roughly the same geozones as SuccessFactors (US, EMEA, Asia). With its comprehensive services and capabilities including the in-memory-power of SAP HANA, it provides an unprecedented amount of flexibility and productivity for you to build better cloud applications in less time. SAP Cloud Platform is the platform of choice to extend SAP’s cloud solutions or build new next-generation cloud applications. SAP Cloud Platform allows to build HTML5 as well as Java applications. These can be integrated with the SuccessFactors suite via the Odata API, which is well documented and reflects all standard as well as custom objects you create in SuccessFactors. SAP CP allows you to build simple applications that mimic the SuccessFactors UI as well as complete portal sites complete with own home page and tiles. Your requirements, your design, your solution. SAP CP supports single sign on from SuccessFactors and this means you can achieve seamless navigation from the HR portal to the custom built solutions. Utilising in-memory MDF objects allows you to build the database tables in native SuccessFactors and use native authorisations to manage credentials, and then use SAP Cloud to build the user interface around the objects. This means you can utilise SuccessFactors extension objects (company car, security incident, employee data) and display in user friendly screens, add business processes and requirements via code – and still use SuccessFactors Role Based Permissions to control access and SuccessFactors Online Report Designer to report on it all. Combined with Business Rules and Workflows you have all the building blocks to effectively build beautiful applications in no time. The promise of SuccessFactors cloud is to deliver standard, effective processes wherever possible. The promise of SAP Cloud is to allow companies to build cost effective custom lightweight applications on a secure platform, without disrupting core business applications. And you need to be agile to be effective, and vice versa. SAP Cloud Platform is a strong offering that should be considered. Through solid investments from SAP the platform is rapidly maturing with new capabilities added every quarter. Erik Ebert, GP Strategies is an experienced SuccessFactors Solution Architect with 13 years experience in SuccessFactors, building up SAP Cloud and PaaS capabilities and a total of 25 years in IT professional services.